Obituary for Marie C. (Gorski) McDaniel | Kaczorowski Funeral Home, P.A. 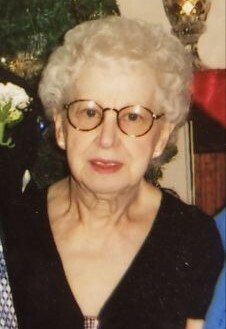 On Thursday, November 01, 2018, Marie C McDaniel (nee Gorski), beloved wife of the late Walter I. McDaniel; loving mother of Arthur McDaniel and his wife Jane, Linda Nemathy, and the late Wayne McDaniel, sister of Martin Pisarek, and the late Margie Smith, grandmother of Shannon, Randy, Stephen, Anthony, David, and Katie; great-grandmother of Haley, Damen, Chloe, Brady, Mason, and Morgan. A Graveside Service will be held at Meadowridge Memorial Park on Wednesday November 7, 2018 at 1 P.M.